Mohammad Hafeez has once again flown to England to undergo remedial work on his bowling action after the ICC suspended him for having an illegal action. 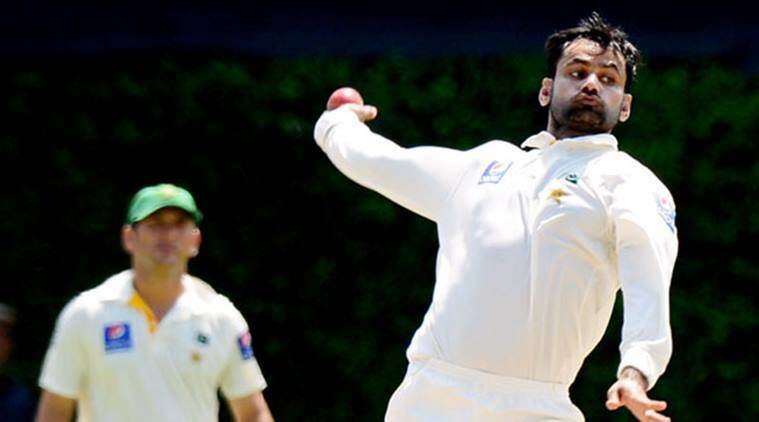 Pakistan all-rounder Mohammad Hafeez has once again flown to England to undergo remedial work on his bowling action after the ICC suspended him for having an illegal action. After his bowling action was reported for the third time in October during the Pakistan and Sri Lanka ODI series, Hafeez went to England to take the ICC’s bowling assessment test but failed to clear the biomechanics test, after which the ICC officially suspended him from bowling in international cricket for 12 months. But in the latest development, the all-rounder has now once again flown to England, where he will work with biomechanic specialist Dr Paul Herron and bowling coach Carl Crowe. “The specialists will study Hafeez’s bowling action and put him through different unofficial tests and then suggest remedial measures, so that he can again take the ICC test to get clearance to bowl in international cricket once again,” an official in the Pakistan Cricket Board said. Sources said that the PCB had agreed to send Hafeez to England after some reluctance as the allrounder insisted he could correct his bowling action and take the ICC test again. Hafeez, 37, was not satisfied with the bowling action review committee formed by the board to work on his bowling action and insisted on flying to England to get help from Crowe and Herron. With the national selectors due to announce the squad for the upcoming tour to New Zealand on December 22 after fitness tests at the National Cricket Academy in Lahore, Hafeez is certain to be picked because of his batting abilities and experience. Hafeez has so far played 50 Tests, 195 ODIs and 85 T20s, and also led Pakistan in the shortest format.